If you can only have one knife, you want it to be the Captain. Designed to handle any task that comes your way, but small enough to be convenient. Offered with two blade styles and a variety of handle options. At a length of 8", this is a knife you can wear with the included sheath, or keep with your tools, tackle, or in your galley. Made of high quality stainless steel, this knife is durable , holds a great edge, and is extremely resistant to corrosion. Featuring a versatile blade design, the front portion is a drop point, perfect for slicing food or bait. The tip is beveled to allow for poking and prying. The pommel features a lanyard hole for extra security. 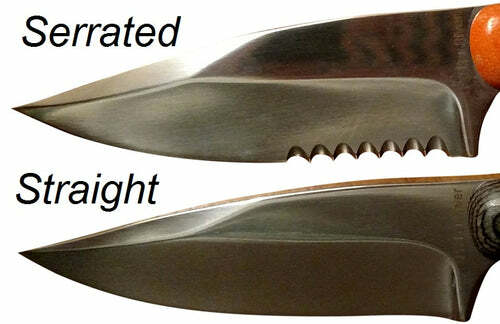 Available with either a partially serrated or a straight blade. This is a beautiful knife and may be the only knife you really need. At 8" long, this knife is big enough to handle any task, but small enough to be convenient. Heavy duty construction, blade is 5mm thick. Comes with a handy nylon sheath. 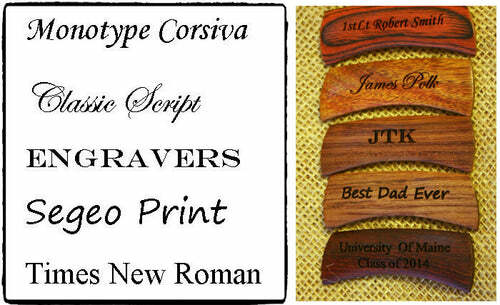 Beautiful handle is perfect for custom engraving. Heavy duty pommel can serve as a hammer in an emergency. Equipped with a lanyard hole for additional security options.